Next Thursday is the opening for my collaborative project’s show with Suzanne Edminster, my dear friend and painting buddy. This is actually the second show of paintings we have created together in a process where we not only paint on the same paintings, but collaborate every step of the way. People always ask how. Short version is we both paint simultaneously on different canvases and then switch, giving full permission for the other person to proceed as she sees fit. Along the way we talk about our intentions and try to solve design issues together. We keep switching until we both think we’re done. What about the artist-ego thing? Well it’s so much fun and such a relief to share the burden of creation that we’re able to just let it go and enjoy. 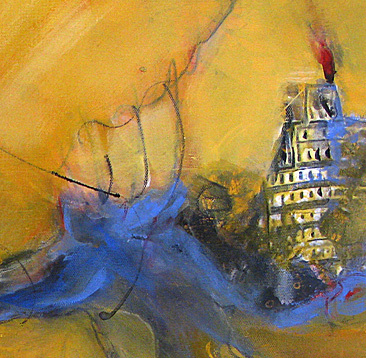 And I think you’ll enjoy the outcome – abstract acrylic paintings to take you on a colorful mythological journey! We hope you’ll come to the show to see how a golden thread has woven a third artist out of our two styles. You will also see whimsical mixed media portraits we painted of each other along with a new video of us painting together on the same painting. 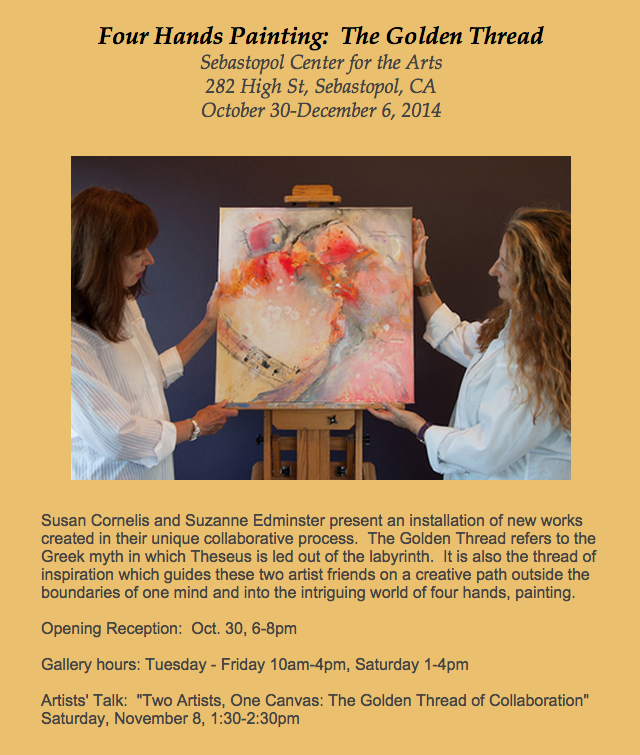 Opening Reception next Thursday 6-8pm at the Sebastopol Center for the Arts. A Video of the Four Hands Painting! Fire, earth, air and water twine in an alchemical world. The opening reception on Saturday of the Four Hands Painting collaboration at the Phantom IV gallery was a great success with lots of visitors and some red dots too. Thanks to all of you who came, and if you haven’t seen the show yet, it will be open through the end of March, Thursday-Sunday 12-6pm, Phantom IV Gallery, 9077 Windsor Rd., Windsor Town Green, CA You will also enjoy seeing the paintings of Hanya Popova Parker and Laura Payne Carr. In celebration of the California State Parks threatened with closure, Katherine Hastings assembled the work of fourteen poets in What Redwoods Know—Poems From California State Parks. NINE of these poets will read from this beautiful, hand-printed chapbook this Thursday, 7 pm., March 15, 2012 at Phantom IV Gallery, 9077 Windsor Rd., Windsor, CA. All proceeds from book sales will go to the California State Parks Foundation. Poets reading are: David Beckman, Janine Canan, Ed Coletti, Jodi Hottel, Iris Jamahl-Dunkle, Gail Larrick, Phyllis Meshulam, Hanna Maggiora and Katherine Hastings. Four Hands Painting: A Collaboration by guest artists Susan Cornelis and Suzanne Edminster lights the gallery with color, movement and passion. 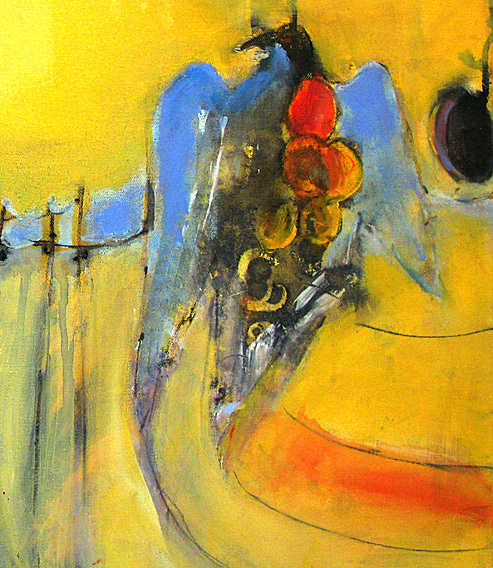 The paintings of Phantom IV artists, Laura Paine Carr and Hanya Popova Parker, are also currently on exhibit. Phantom IV is honored to host this remarkable evening. Four hands as in two sets of two attached to two different painters. I keep having the image of a dancing Shiva with four arms balancing on one foot. 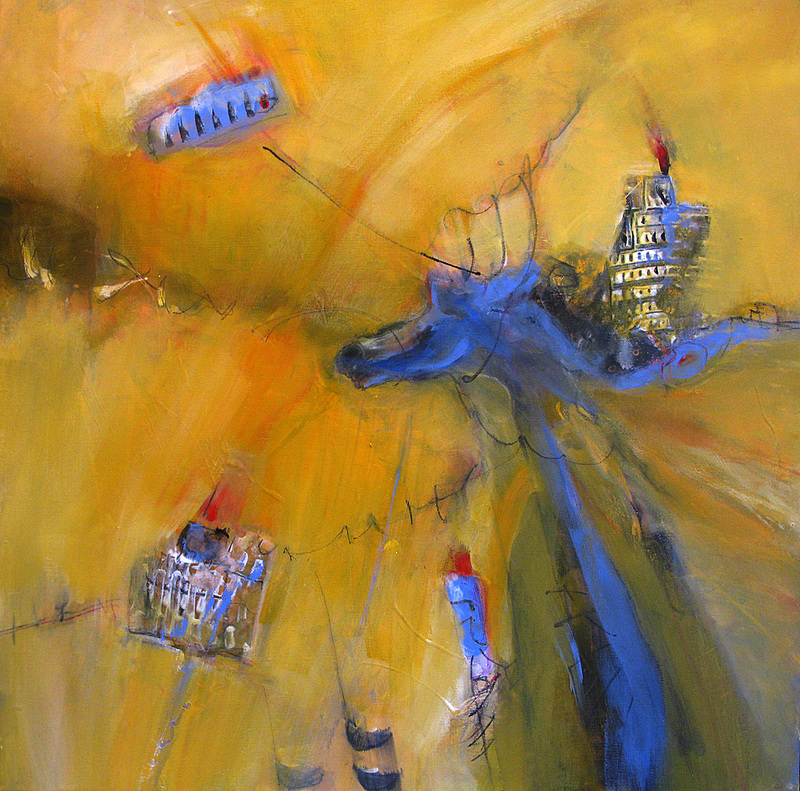 It is a kind of balancing act to create a painting with another artist, whose center of gravity is in a different place. A bit like bungie jumping (which I’ve never tried) it is also a kind of thrill since you’re less in control of the landing. 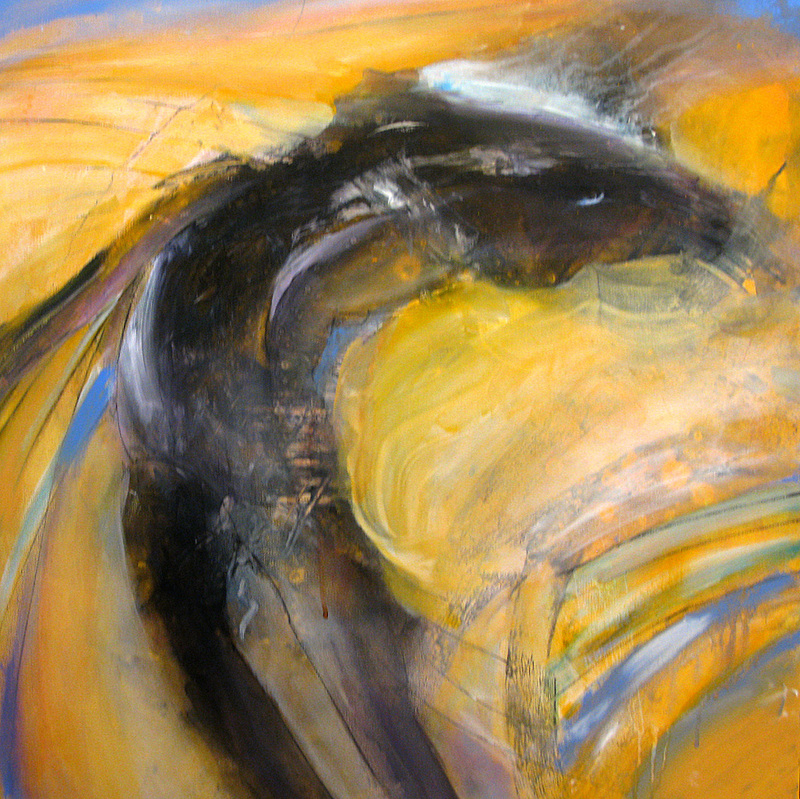 In the painting “Centaur” here, after the initial abstract beginning by one of us, we both thought we saw a horse shape emerging, a familiar theme to both of us, so not surprising. A shape shifter, a visitor from Suzanne’s world of cave art and myth and mine of wild horse Muse-ings. We both welcomed his appearance. This is one of the paintings in the show open now at Phantom IV Gallery in Windsor, CA. Scroll down here for more information about the show and the opening this Saturday. What do you do when you finish a painting? You sign it of course. And what do you do when you finish a four-hands painting like the one above? You co-sign it. 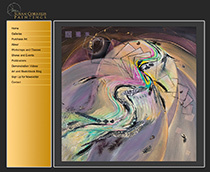 Two signatures, both beginning with S. One painting with two artistic energies coming together, colliding, ricocheting off each other, landing on common themes, and finally on a name. “Trojan Horse”. This is one of a whole collection of new collaborative paintings which will be shown starting March 1st at the Phantom IV Gallery in Windsor. Last night Suzanne and I signed all the new paintings, passing the pen back and forth between us. It felt like a Declaration of Collaboration, a not so solemn ritual of transition in preparation for releasing our collaboration into the public sphere. Please put March 10 on your calendar to join us at the opening of the show, 4:30-7:30pm at 9077 Windsor Rd. at the Windsor Town Green in CA. and visit the other galleries which will be open for the 2nd Sat. Art Walk. 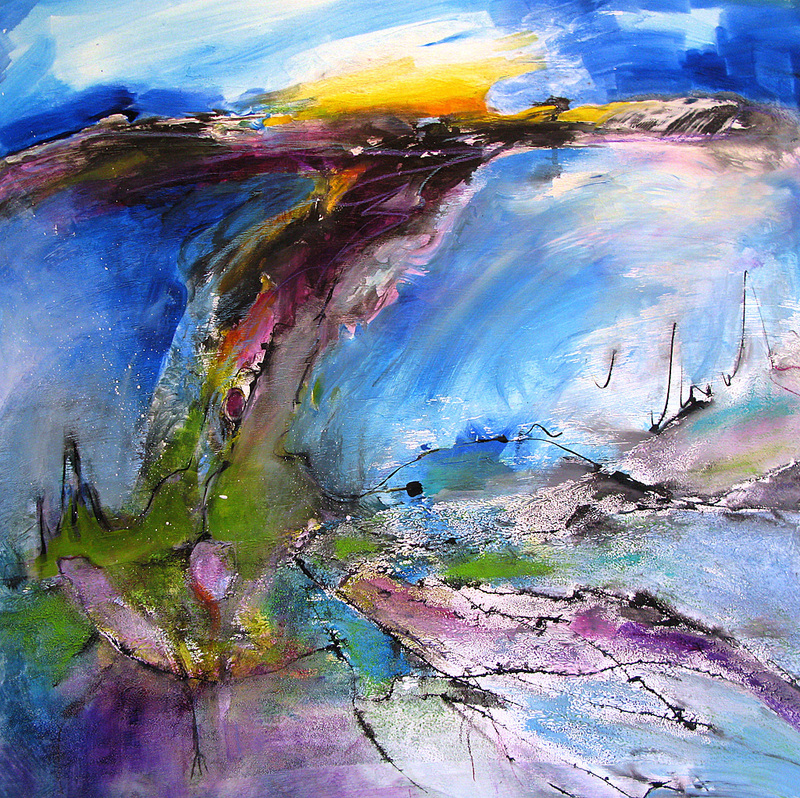 To see more of our paintings visit Suzanne’s blog. Just a peek for now, because this Four Hands Painting collaboration is in process, but richly and fruitfully, and will be ready for public view soon! In fact, the first series of this collaborative painting project will be exhibited at the Phantom IV Gallery , 9077 Windsor Rd, Windsor, CA from March 2-April 1 with an opening celebration March 10, 5-8. We pass the canvases back and forth while painting together. We annotate, record, discuss and reconfigure the paintings at each turn. Here’s what I wrote in my journal after the first collaborative painting session with Suzanne. A mad hatters party, a case of mirror neurons bombarding synapses, of ideas skipping over previously imagined boundaries. What boundaries? There was only excitement, faith in the process, and the bungie jump of brush in hand, clock ticking and no plan of where to put the next brush load so as not to ruin the other person’s fresh beginning. Gulp. Jump. Weeeee! For more peeks, visit Suzanne’s blog.